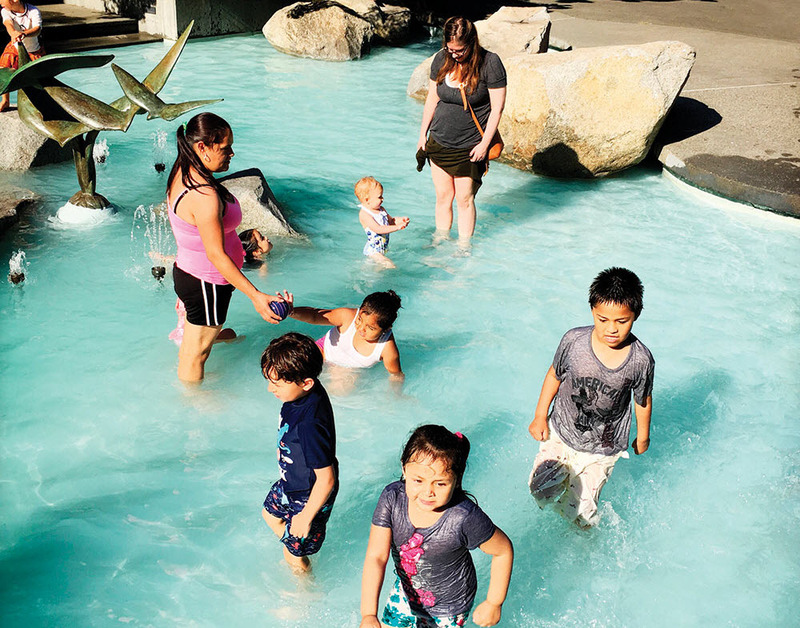 The highly visible southeast gateway to Seattle Center, anchored by the Space Needle, is not a likely spot for hidden treasures. Yet if you look, you’ll find one. 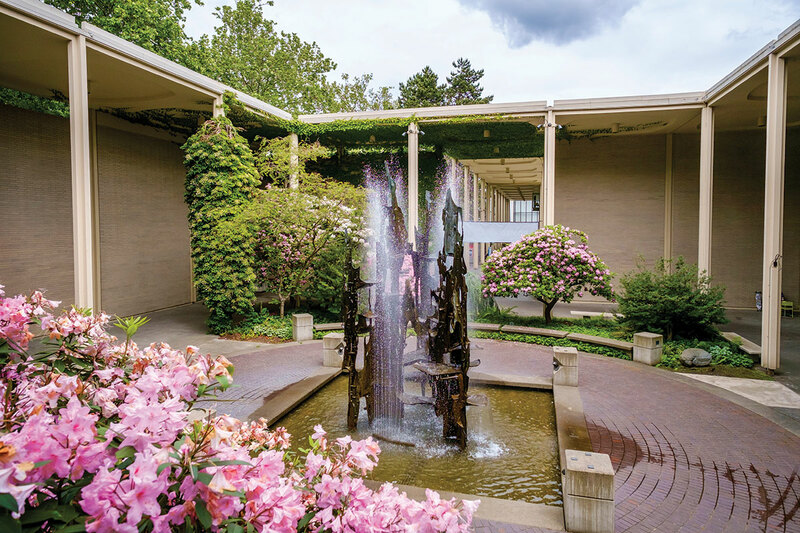 Nestled between the Space Needle’s valet parking circle and the IMAX theater is the Peace Garden. Look for a small horse chestnut tree, which was planted at the southwest entrance to the garden in this year. 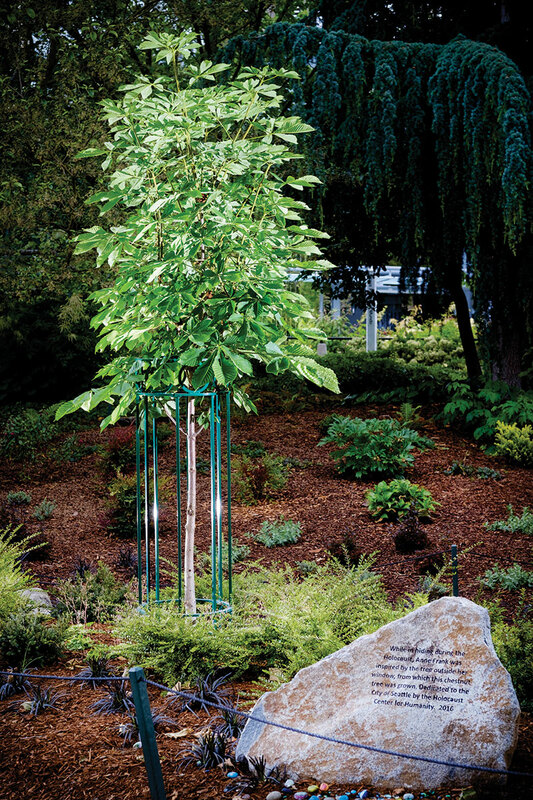 A gift from the Anne Frank House to the Holocaust Center for Humanity, the tree is a seedling from the very same chestnut tree outside of Anne Frank’s hiding place that she wrote so poignantly about in her diary. Now protected inside a metal cage and marked with a small plaque nearby, Seattle’s sapling is one of only 11 of the tree’s descendants to be planted in the U.S.
As you exit Seattle Center along Theater Commons (the promenade between Seattle Repertory Theater and the Cornish Playhouse), just before you reach Mercer Street, an opening in the wall on your right leads to Dingwall Courtyard, a tranquil patio centered around a splashing fountain. Rest (or picnic) at the tables and chairs, while kids make wishes at the fountain. The main gates to the World’s Fair were on the south side of Seattle Center, facing downtown. But in recent years, the center has become more welcoming to the neighborhood to the north. 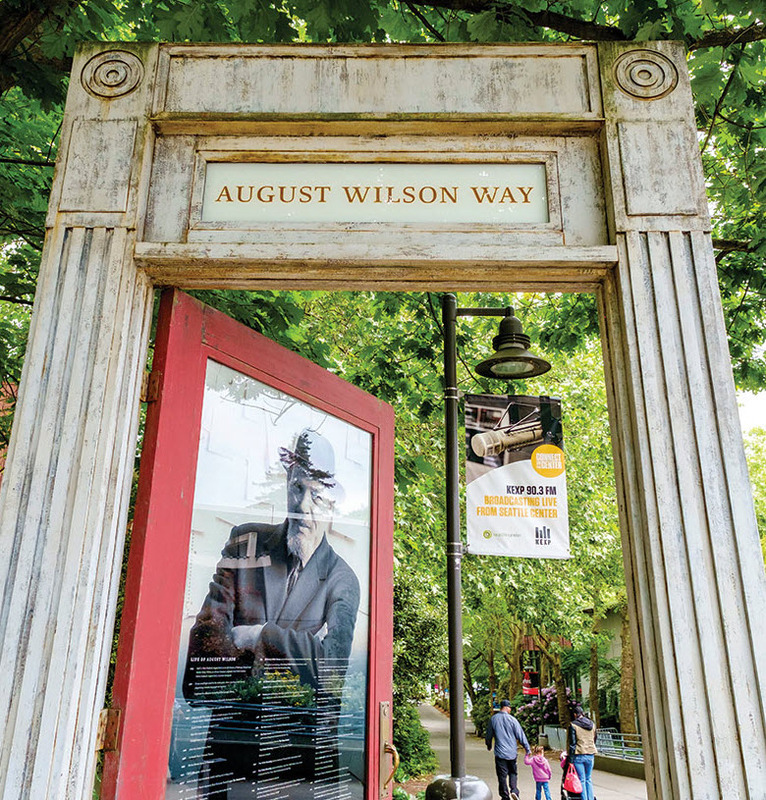 Now, instead of a dead end, Republican Street ends at the August Wilson Way Portal, a 12-foot-tall, steel and glass monument to the Pulitzer Prize–winning playwright. Younger kids will be happily awed by the appearance of a giant open door — unattached to any building — opening onto the grounds. Older kids will appreciate the inscriptions from Wilson’s plays and the portrait of an artist who opened so many doors in his own lifetime. 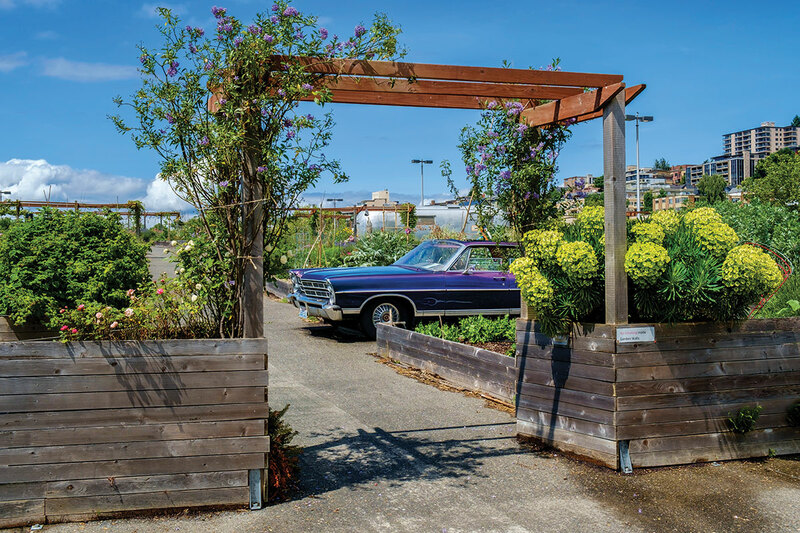 The roof of Seattle Center’s four-story Mercer parking garage is the unlikely home to a charming oasis called the UpGarden, the largest rooftop community garden in America. Like all of Seattle’s P-Patches, the UpGarden is open to the public, although the food and flowers belong to the individual gardeners who grow them. Look for quirky touches such as flowers sprouting from a vintage car and an old Airstream serving as a tool shed, and don’t hesitate to take a few selfies — Instagram alert! — with the Space Needle in the background.